Ricky is excited about moving to the almost-too-perfect town in Florida where everyone is friendly. In DON''T BREATHE, he begins to see the flaws and wonders about a mysterious vapor leading to a dangerous and deadly secret. An overnight camp-out turns into an OVERNIGHT-MARE when the guys jump a fence into off-limits property. There they meet ghosts of war, remnants of a long-ago battle who lure them into a fight to the death. 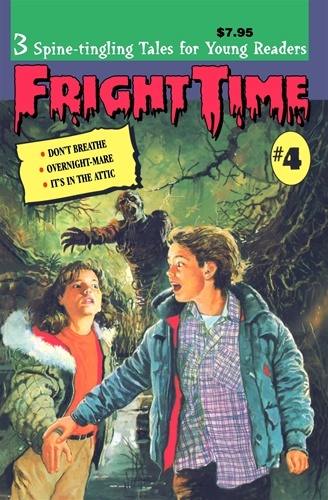 In IT'S IN THE ATTIC, Maddy's friends think it must be fun to live in an old house where the candles blow themselves out, stairs creak without being stepped on, and a ghostly voice cries for help. But Maddy knows it's anything but fun.